Rolos will always be an autumn candy to me. Like the shiny wrapped chocolate caramel mound, the season is covered in new golden colors and filled with sweet treasures. 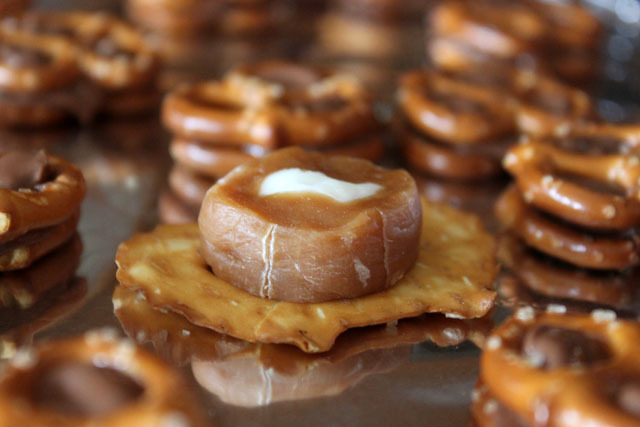 I first enjoyed one of these little Rolo pretzel sandwich treats courtesy of my friend Sara when I lived in Middlebury. What a simple and perfect combination of salty/sweet/chewy/crunchy. 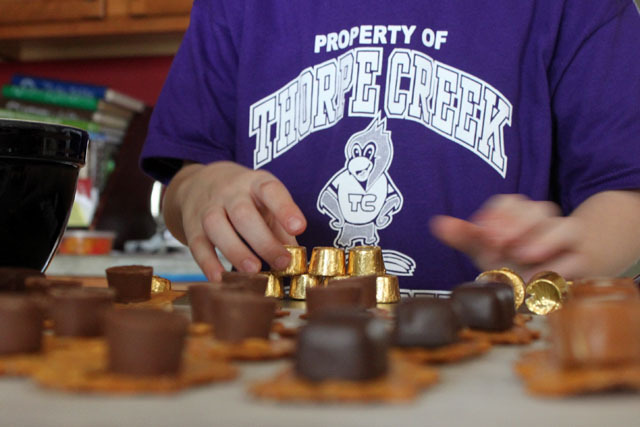 We took it to another level yesterday and had a contest to find the best variation, and besides, kitchen experiments and fine motor skills practice go better with chocolate candies in my opinion! 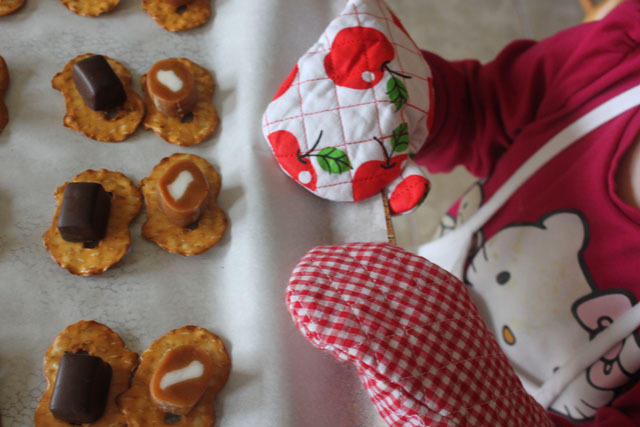 The variables included flat pretzels, mini pretzels, Rolos, Riesens and Caramel Creams. 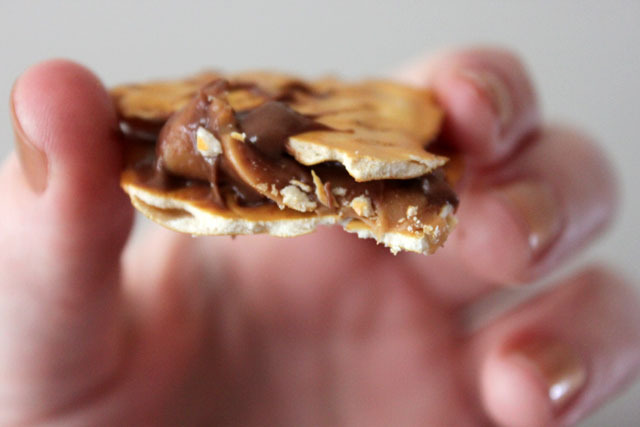 The Caramel Creams barely melted, so they ended up being an open-faced variety. After testing, deliberation, a glass of milk and voting, first place went to the Rolo with the flat pretzel (we also thought it looked like a Koala pumpkin face)! 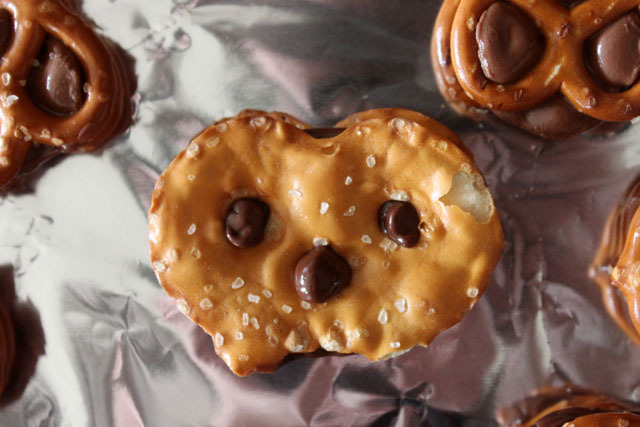 To make your own, just place the candy on top of a pretzel. Pop it in a 250-degree oven for 5 minutes, then lightly press another pretzel on top to complete the sandwich. They are messy if eaten right away but firm up in an hour or so. 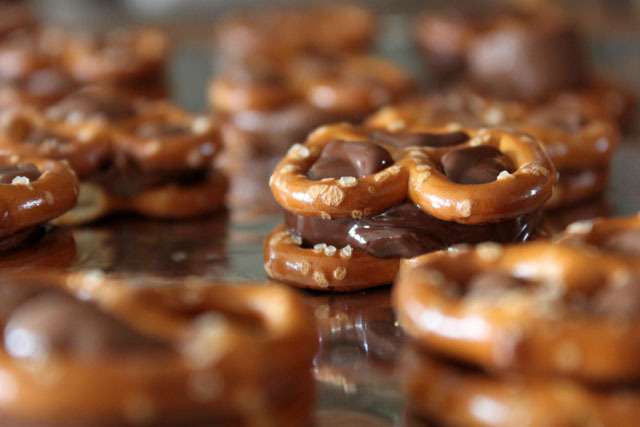 If you use Glutino pretzels and Rolos, these treats can also be gluten free. these photos are amazing. i’ve never seen “rolo turtles” look so sweet! ooo… makes me wish I had some pecans handy. thanks for being so sweet yourself!